A Playstation playroom will be just one of the Sony plugs at a new movie theater opening in a LA suburb this week. 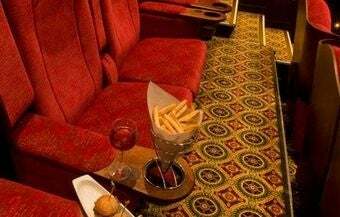 The Muvico Entertainment-run theater in The Oaks shopping center will use Sony's 4K SXRD digital projectors in the theaters, 16 Sony LCD televisions at the snackbars and have a bank of Playstation 3 consoles in the "digital playroom," the New York Times reports. The built-in cross-promotion is a perfect way to get customer thinking Sony. A senior Sony exec says that they might even use the theater to host Playstation game launch events by allowing people to play a few sessions on the theater's giant screens. If you live in the area and happen to swing by the theater, make sure to take some pictures for us of the digital playroom. I'd love to know if they're charging and what sorts of games are loaded up.